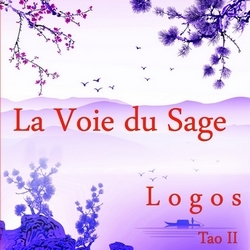 "La Voie du Sage" is a meditative concept album that invites interior encounter with a journey on themes from the Tao Te King. The traditional oriental instruments (flutes shakuachi and bawu, Chinese harp, Gu Zheng, gong, violin Er Hu and many others…, associated with the typical orchestrations of Logos, made pure and delicate soundscape. Its crystalline slowness and contemplative linearity are conducive to inner states of lightness and peace. This musical experience awakens also the fluidity, energy and the natural rhythm of the body. This is the indispensable album of this beginning 2015 for the appeasement and the harmony that listening provides. We are pleased to make you discover it on Radio PLENITUDE, every day, from march 17 until march 30, before it enters in a regular programming.